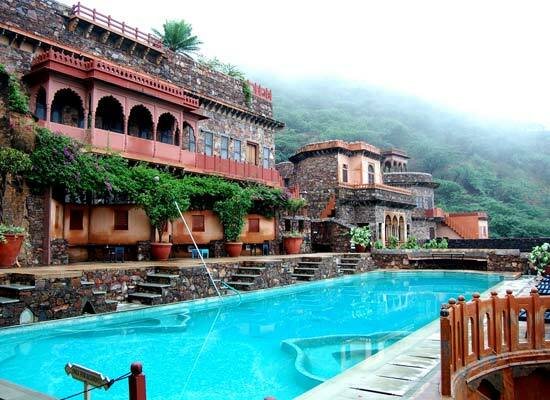 "Neemrana Fort Palace is one of the most famous heritage hotels located on Delhi-Jaipur highway. Earlier a palace, Neemrana Fort Palace is located near the Aravalli mountain ranges of Rajasthan. Tucked on a plateau, this beautiful heritage hotel can be easily accessible. The history of Neemrana Fort Palace dates back to 1464 A.D., when the palace was constructed. 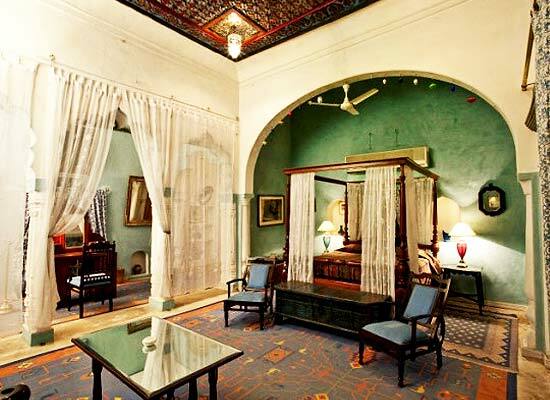 One of the oldest heritage hotels, the entire property of Neemrana Fort Palace is spread over 25 acres of land. The 10 storey palace is built over 3 acres of land. In the year 1986, this extra-ordinary fort-palace underwent restoration and reconstruction and was transformed into a hotel. There are 50 rooms in this hotel. 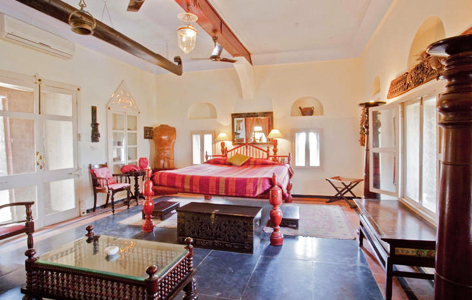 The rooms at Neemrana Fort Palace are divided into 17 standard rooms, 7 luxury suites, 19 grand rooms and 7 normal suites. Many of the rooms have personal terraces or balcony. Mostly furnished with both colonial and traditional Indian furniture, the rooms of this hotel guarantee a comfortable stay to the guests. 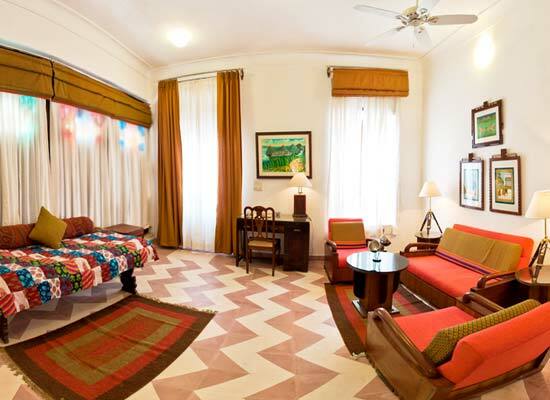 All the rooms of this heritage hotel come equipped with modern facilities and services. There are number of restaurants in Neemrana Fort Palace that serves delicious breakfast, lunch and dinner. 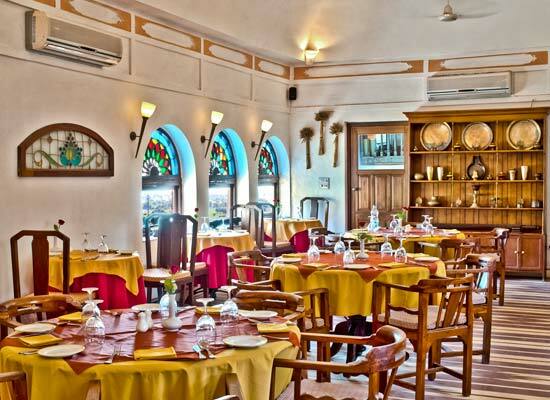 Raj Mahal is a restaurant of this heritage hotel that serves both breakfasts and light snacks. There are quite a few restaurants that serve mouthwatering dinner and lunch like Aam Khas, Amaltasse, Panch Mahal, Holi Kund, Aranya Mahal and Maha Burj. Guests can choose from a wide range of beverages from the well-stocked bar of Neemrana Fort Palace. Neemrana was the 3rd capital of the successors of Prithviraj Chauhan III. The place has earned its name from Nimola Meo, who was a local head of a clan. This place is considered a gateway on weekends and often visited while touring the state of Rajasthan.